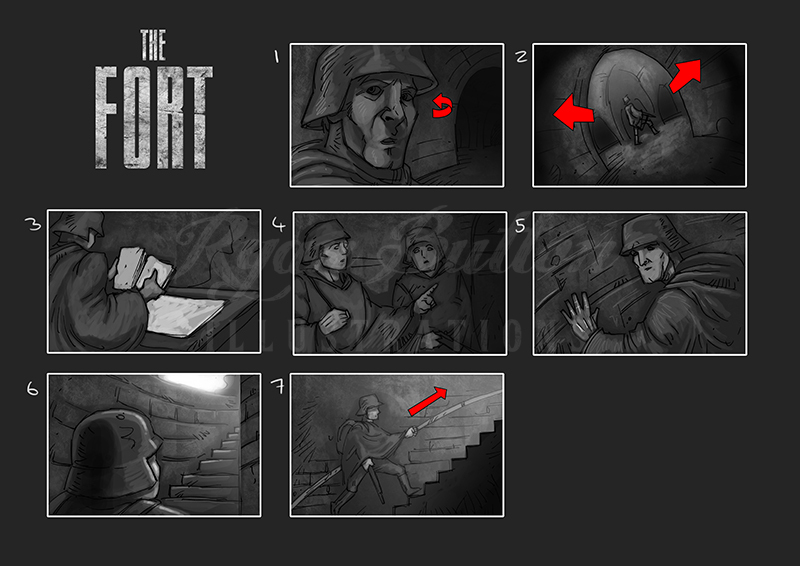 Another scene illustrated for the film which shows of the characters becoming more aware of abnormal sounds in the dark corridors within the fort. This scene also shows that the other characters are not aware of the sounds haunting the fort and continue to go about their regular activates. Huber on the other hand continues to investigate the origin of the eerie sounds.